I have decided to revamp the decorations for our Christmas tree and having been making new ones since the weekend. We have a lovely unusual tree made out of driftwood, which spends most of the year on the landing (making no noise and pretending it doesn't exist!) and then in December gets its rightful place in the living room. 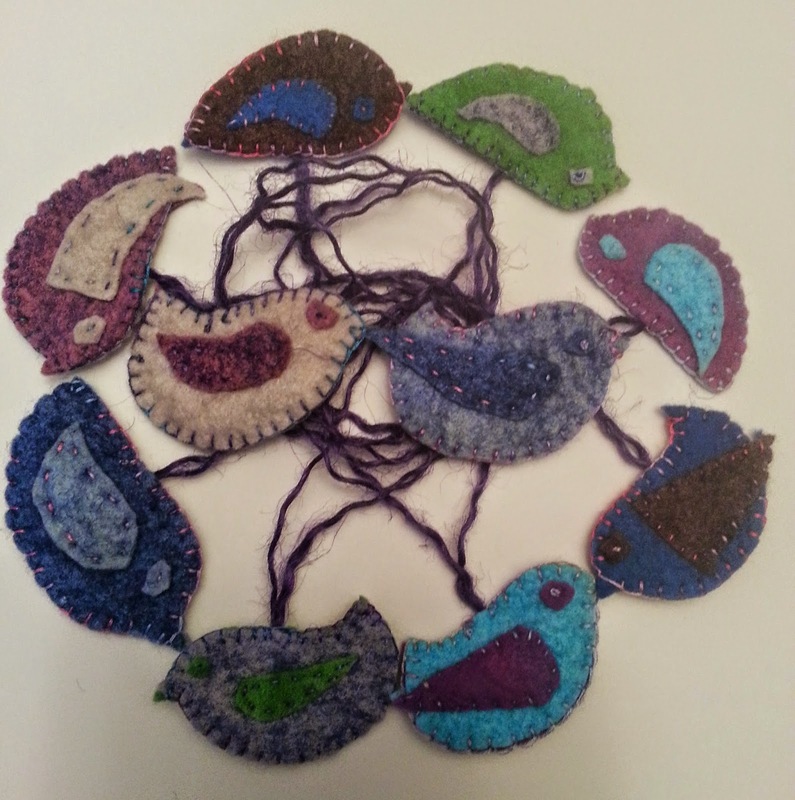 First off are little felt Christmas birds, in pairs. So here they are, and will be hanging off the tree in a couple of weeks (we usually wait until after my son's birthday in December to put the tree up). I'll post a picture of the tree when it is decorated.